Ruth Dyer joined the faculty at Kansas State University in Manhattan, Kan., in 1983. Throughout her tenure, she has built an impressive career as a professor, associate provost and now senior vice provost; but perhaps the most distinguishing aspect of her career is her substantial contributions to helping students and faculty members from underrepresented populations advance their education and careers. After earning bachelor’s and master’s degrees in biochemistry from K-State and beginning work on a Ph.D. in biochemistry, Dr. Dyer moved to Kentucky when her spouse, Stephen, took a faculty position at Georgetown College. Unable to continue her Ph.D. at the University of Kentucky without re-taking her biochemistry classes, Dr. Dyer decided to begin a Ph.D. in mechanical engineering, reasoning that if she was going to have to take new classes, she might as well learn new material. After receiving a Ph.D. in 1980, she worked for a couple of years as a part-time instructor in the Department of Electrical Engineering at UK, where her husband was also a faculty member. In 1983, Dr. Dyer and her husband returned to K-State, where she was the only female faculty member in the university’s college of engineering with a Ph.D. in engineering. Noticing the disparity, Dr. Dyer began developing ideas about how to help women select engineering as a possible profession, as well as secure tenure-track faculty positions. Dr. Dyer has served on over 140 committees within Kansas State University, several having to do with academic guidelines, assisting underrepresented populations and searches for upper-administration candidates. Her service as chair of K-State’s Task Force on Women’s Programs in Engineering led to a collaborative partnership with the College of Arts & Sciences that developed a Women in Science and Engineering program. Shortly afterward, she was appointed assistant to the provost, where she became involved in an effort to address salary inequity issues among female faculty members. Dr. Dyer has secured and administered numerous grants for research projects, as well as outreach and engagement programs. In 1999, she obtained a National Science Foundation pilot grant aimed at outreach activities for girls in middle school. The resulting program was called Girls Researching Our World (GROW), a program that continues today, providing intensive hands-on experiences geared toward science and engineering. In 2003, she received a $3.5 million NSF ADVANCE grant to transform the institutional culture and enhance opportunities for women faculty members in science and engineering disciplines. As senior vice provost for academic affairs, Dr. Dyer is the senior advisor to the provost on academic issues. 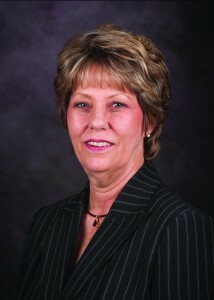 She also oversees the Office of Academic Personnel, which involves her in hiring, supervising and evaluating faculty members, and she directs the K-State Advancement of Women in Science and Engineering office, which provides networking and support programs to women students and faculty members. Dr. Dyer is a fellow of the Institute of Electrical and Electronics Engineers (IEEE), a grade that recognizes unusual distinction in her profession. She was one of seven individuals from across the nation to be named a fellow of the Association of Women in Sciences in 2006. She received the IEEE Instrumentation and Measurement Society’s Distinguished Service Award in 2011. Dr. Dyer lives in Manhattan, Kan., with her husband Stephen. They have two sons, Justin and Christopher.